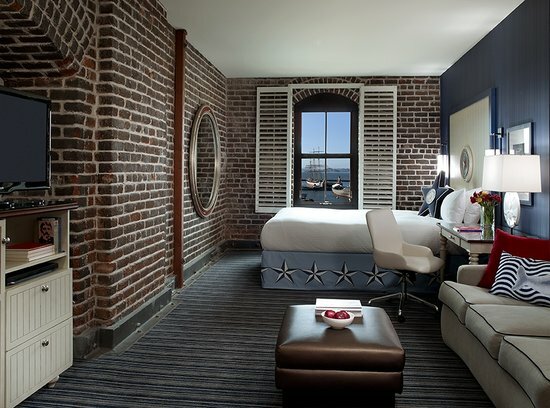 The luxurious Argonaut is the only hotel located in the San Francisco Maritime National Historic Park, a center for San Francisco maritime history that educates and entertains with a museum, a library and fleets of historic boats. The nautical history of this special place is reflected in the hotel’s sunny, boat-themed interior. Built in 1907, the building that houses the Argonaut is listed on the National Register of Historic Places, and it also contains the San Francisco Maritime National Historic Park visitor’s center and museum. 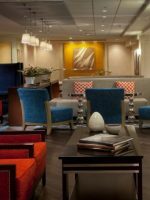 Kids under 17 stay free when accompanied by an adult, and the hotel’s Kimpton Kids program accommodates families with little kid-friendly touches like a children’s welcome gift. 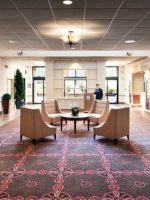 The 252 guestrooms and 13 suites include free high-speed Internet access, coffee makers with complimentary Starbucks coffee, flat-screen TV's, DVD players, WebTv, on-demand movies, Super Nintendos, honor bars, free weekly newspapers, bathrobes and deep spa tubs with separate showers. Rooms are outfitted in a fun nautical theme. Many rooms have exposed walls or steel doors that are original to the building, which was originally a warehouse. Expect porthole mirrors, brass telescopes, lots of anchor-themed decor, and views of the Golden Gate Bridge and San Francisco Bay. 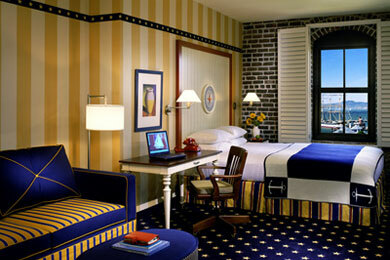 This is a charming boutique style hotel in a perfect location to Fisherman's Wharf. Within easy walking distance of everything. We stayed in the King Suite and it had 2 huge rooms that were extremely comfortable and a large bathroom. 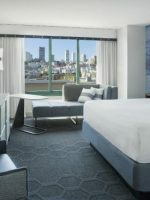 Highly recommend this hotel if traveling to SFO. 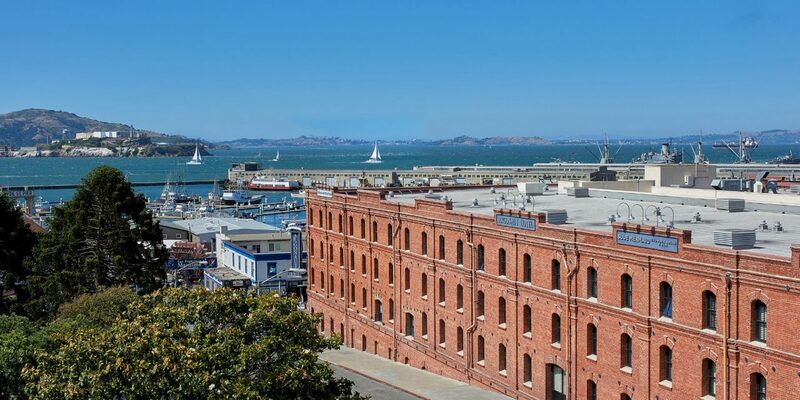 Right in Fisherman’s Wharf for easy access to all the local attractions. 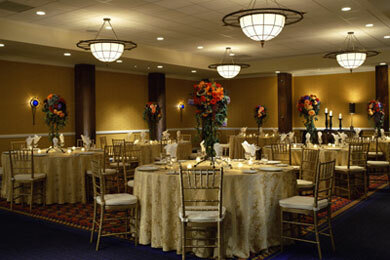 Large nice rooms, with a unique twist for the decor when compared to typical hotels. The adjoining restaurant was nice with tasty food. 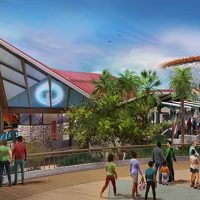 The resort tax is a simple way for the hotel to extract more money from you, there is no real justification for this cost, but it’s something you just have to put up with and pay. It’s a 30 minutes walk from here to Tenderloin to give some perspective. The Golden Gate Bridge is about a 50 minute walk. There are plenty of Uber’s around, cost about $15 dollars to city area. The trams stops are also very close by. 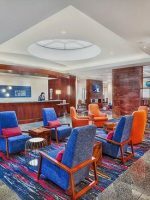 The hotel hosts a special kids' program, which includes kid-friendly amenities like child-safety kits, cribs upon request, a kid's welcome gift, child-sized robes and stroller rentals. 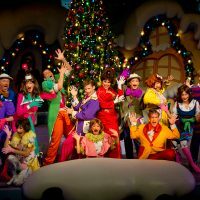 The program also includes lists of area family activities. 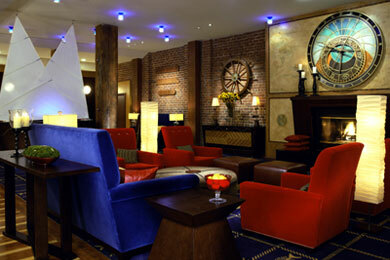 The hotel's main attraction is the San Francisco Maritime National Historic Park. 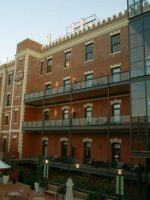 The park's visitor's center and interactive museum (admissions are complimentary for hotel guests) is located in the same building as the hotel. The museum features changing exhibits on maritime history, including a shipwreck display. 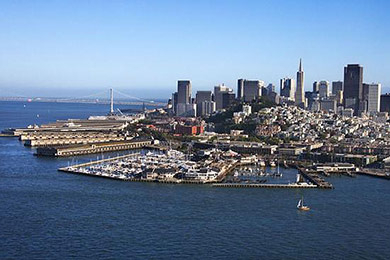 Hyde Street Pier, a famous ferry pier in Fisherman's Warf, is adjacent to the hotel. Anchored to the pier are dozens of historic boats, many of them open for tours. 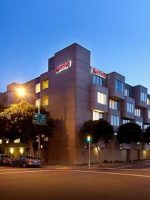 Other San Francisco landmarks, including Ghirardelli Square, the Golden Gate Bridge, Union Square and Pier 39, are just a short walk or cable car ride away (the Hyde Street terminal of the San Francisco Cable Car System is steps away from the hotel). The concierge will make arrangements for local babysitting services upon request, but the hotel offers no on-site childcare programs. The hotel's restaurant, the Blue Mermaid Chowder House and Bar, lies adjacent to the Argonaut and is a popular stop for hungry hotel guests. The eatery serves breakfast, lunch and dinner. Menu items include quiche and scrambled eggs for breakfast, popcorn shrimp and chowder for lunch, and parmesan crusted sea scallops and the catch of the day for dinner. There is a kids' menu for lunch and dinner, but not for breakfast (although the restaurant's traditional American breakfast items, like eggs, bacon and toast, are simple and familiar enough for most kids to enjoy).